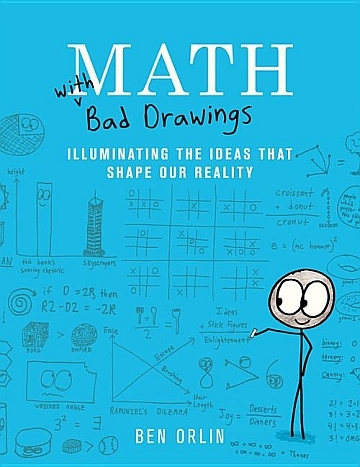 Caversham Booksellers: Orlin, Ben; Math with Bad Drawings: Illuminating the Ideas that Shape Our Reality (0316509035) Little, Brown & Co.
Ben Orlin is the author of the blog Math With Bad Drawings. He also writes on a variety of topics related to math for The Atlantic, Slate, The Los Angeles Times, The Chicago Tribune, and Business Insider. He began his teaching career in Oakland, California in a charter high school populated by students from low-income, immigrant families, where test scores ranked as high as #4 among all high schools in the state of California. He taught at King Edward's School in Birmingham, England, and now lives in Amherst, Massachusetts.